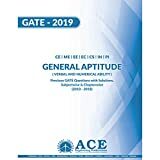 Q.1 – For how many years GATE 2019 score card is valid ? Q.2 – Can I use this GATE 2019 score card for getting admission into any college/university/institute ? If yes then till what year ? A.2 – Yes, Most of the colleges/universities/institutes accept GATE score card. Few organize their own competitive examination and also accept GATE score card. Few organize their own competitive examination and provide admission to the students on the basis of that score card only. GATE 2019 score card would be valid for a candidate till 2021. Q.3 – Can I use this GATE 2019 score card against PSUs recruitment ? If yea then till what year ? A.3 – Yes, You can use this GATE 2019 score card against PSUs recruitment. Almost all PSUs accept GATE score card of current year for current year recruitment. 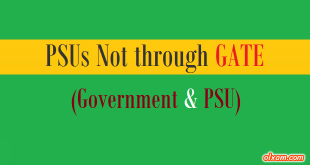 So, GATE 2019 score card would be valid only for PSUs recruiting through GATE 2019. Q.4 – What to do, If I lost my GATE 2019 admit card ? A.4 – First of all you must be careful for your GATE 2019 score card because it is valid for 3 years. If you have lost your GATE 2019 admit card then you must contact via email or helpline to the GATE 2019 office. They will guide you about how you can get your duplicate GATE 2019 admit card. Q.5 – Am I eligible for getting admission into any colleges/universities/institutes, If I clear cut-off of GATE 2019 exam of my stream ? A.5 – First, Clearing GATE 2019 exam cut-off doesn’t make you eligible for getting admission into any colleges/universities/institutes. You must first clear GATE 2019 cut-off then particular colleges/universities/institutes cut-off separately. Q.6 – Am I eligible for all PSUs recruitment, If I clear cut-off of GATE 2019 exam of my stream ? A.6 – First, Clearing GATE 2019 exam cut-off doesn’t make you eligible for all PSUs recruitment. You must first clear GATE 2019 cut-off then particular PSUs cut-off separately. 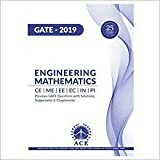 Q.7 – Is my GATE 2019 score card valid, If I apply GATE 2019 exam in different branch ? A.7 – Your GATE 2019 score card would be valid for few courses if you use this score card for getting admission into colleges/universities/institutes. Your GATE 2019 score card would be not be valid for almost all PSUs if you use this score card for getting job/interview call from PSUs.